Both daycares and learning centers have to be licensed. There's no legal or official distinction between a daycare and learning center. Instead, these are marketing labels that provide parents with information about the center's primary purpose. A daycare provides care for your child when you can't, while a learning center has a stronger emphasis on education. 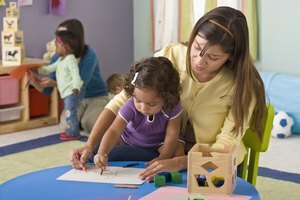 Because these two types of child care facilities aren't legally distinct, however, some daycares may have strong educational focuses, while some learning centers might do little for your child's education. Both daycares and learning centers have to be licensed as childcare facilities in your state. State licensing laws vary slightly, but generally require that a childcare facility meet certain minimal safety requirements and that it have enough staff to care for each child. Daycares that are located in a person's home have to be licensed as in-home daycares, whether the owner refers to the facility as a daycare or a learning center. Learning centers tend to market themselves as educational facilities, so the staff might be more highly educated, though that is not legally required. 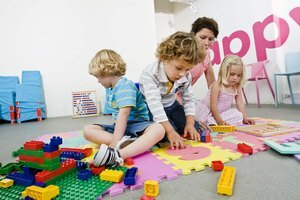 A daycare usually focuses more on play and childcare, so children might spend more time playing with toys and less time on structured activities. Some learning centers are actually preschools and must be licensed as educational facilities. They need to meet state accreditation standards and staff must have sufficient education, usually an associate or bachelor's degree, in a field related to early childhood education. While a learning center emphasizes early learning, a daycare center's primary focus is providing childcare. This might mean that the facility is open later or on weekends or evenings to give parents time for work. Children might be eligible for drop-in care, with child care providers at the center ready to provide care for several hours. At some learning centers, children only attend for a few hours each week. Look at the facility's policies and curriculum and check its license with your state. Ask if you can visit your child and sit in on a classroom prior to enrolling your child. If the facility says no, this is a big red flag. 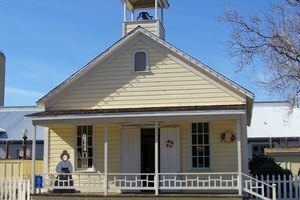 Talking to other parents, checking the business's online reputation and interviewing individual staff at the center can also give you insight into whether a daycare or learning center is the right place for your child. 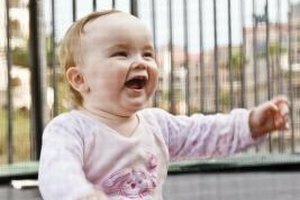 Baby Center: What's the Difference Between a Preschool and Daycare Center? Thompson, Van. "Daycares vs. Learning Centers." 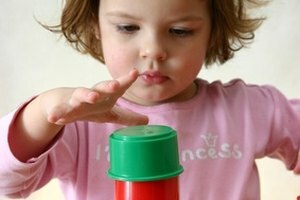 Synonym, https://classroom.synonym.com/daycares-vs-learning-centers-16050.html. 26 September 2017.